How many of these classic films have you watched? Any time is movie time! 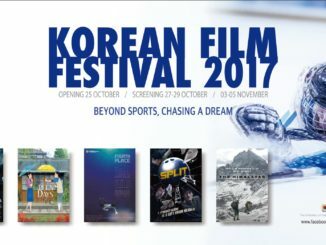 Over the years, South Korea has produced countless films over a spectrum of genres ranging from emotional youth flicks to heart-dropping horror films. What began as a production catered just for the locals, became a global multimillion phenomenon with thousands of ardent enthusiasts worldwide. Korean films are undeniably at its ultimate peak nowadays with many people impressed at high-quality production and compelling storylines so today, we present to you 10 of the best K-film classics (in no particular order) that you have to watch at least once in your life. Some will make you cry while some will make you laugh your heart out so be prepared for the most thrilling emotional rollercoaster of your life! A story that will make you realize just how great a father’s love really is. 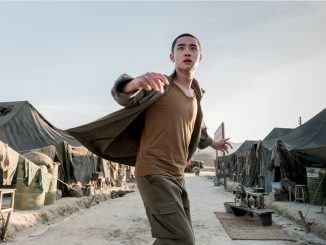 The film follows Yong-goo (played by Ryu Seung-ryong), a mentally challenged father, who gets wrongfully accused of kidnapping and murdering the daughter of a high-ranking official of the National Police Agency. Despite being served the capital punishment for his “crime” and being mistreated by the fellow prison guards because of his disability, his only concern is the well-being of his young daughter, Ye-seung (played by Kal So-won). His last wish to see her was never meant to be fulfilled until 5 of his other cellmates devise a plan to sneak her in for one last chance to reunite. The Korean War separated many families and many were forced to go through rough times and personal sacrifices to make ends meet. As Deok-soo’s (played by Hwang Jung-min) family get split from his dad and sister at a young age, he assumes the role as Head of the Household and devotes his everything to support his family. As the story progresses, join Deok-soo as he goes through the many milestones and hurdles in his life until the present day. This is an educational, emotional and enriching film that teaches you the story of perseverance and true love. Set in the Choseon Dynasty, this film tells of a story between a King that was broken on the inside, and his 2 court entertainers that were desperately trying to escape death. The story begins with Gong-gil (played by Lee Joon-gi) and Jang-sang (played by Kam Woo-sung), a circus troupe based in Seoul. 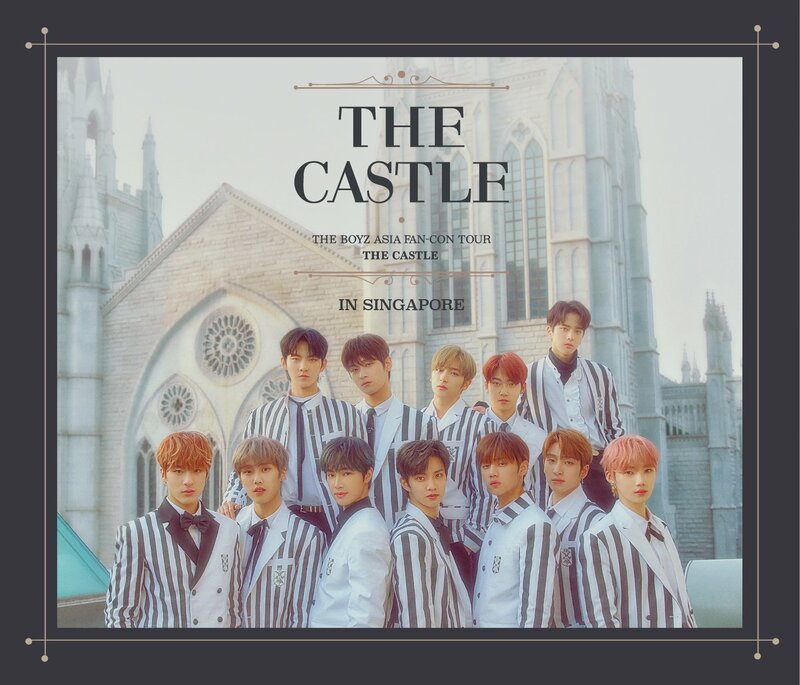 With satire and crude humor being the core of their performances, they get more than what they bargained for when a bunch of royal guards catches them mid-performance. Join the duo as the attempt save themselves from the death row on one condition – They are free as long as they can make the psychopathic King Yeonsan (played by Jung Jin-young) laugh. Fresh into the bustling city of Seoul, Na-mi (played by Shim Eun-kyung and Yoo Ho-jeong) finds herself struggling as she tries to fit into the standards of this foreign place. As she stumbles her way through her first day of high school, she is joined by 6 other girls to form the clique “Sunny”, who vow to protect and be there with one another through thick and thin. This is a heartwarming tale of 7 friends going through a significant period of their lives together and experiencing the sweetness and bitterness of it all. As the coming-of-age film progresses, reminiscence your youth with the cast as this story touches on their friendship and loyalty. What would you do if your loved one was taken away from you right in front of your eyes? After a monstrosity attacks the main pipeline of Seoul and leaves the country defenceless, journey together with Park Kang-doo (played by Song Kang-ho) on a thrilling adventure as he does whatever he takes to save his daughter before his whole family gets destroyed. As this heroic film plays on, keep a lookout on all the symbolic implications that can be found throughout it. This film will not only tell you of the boundless love a person has for his family but how human ignorance has no limits. Cheol-su (played by Jung Woo-sung) goes through the ultimate test of love when he discovers that his wife, Su-jin (played by Son Ye-jin), has a rare form of Alzheimer’s Disease, a sickness that induces memory loss as each day passes. As if there’s an eraser in her head, her memories of them start fading away and Cheol-su is left to deal with the remnants of what is left. The couple faces a setback and soon the world they’ve spent years trying to build, collapses. As they spend the remainder of their days together, learn the true meaning of love as they test its boundaries. This film is based on a true story that struck Korea in the 1960s, after North Korea attempted to assassinate South Korea’s then-president by sending spies over. In the hopes of overthrowing the regime and to exact political revenge, the government establishes a secret unit comprising of ex-convicts/social outcasts. In exchange for a clean criminal record and a fresh start in life, they were tasked to bring in the North Dictator’s head but halfway through the execution, the mission was called off and the government ordered for all the members in the unit to be executed. As the unit’s hope was crushed, and as they cannot deny their impending deaths, the camaraderie between them all and their loyalty to the country are put to the test. Diagnosed with a life-threatening disease since birth, A-reum (played by Jo Sung-mok) does not grow up the same way kids his age do. Plagued with wrinkly skin and a perpetually weak body, A-reum’s time on Earth was limited but his parents (played by Gang Dong-won and Song Hye-kyo) strives their hardest to give their beloved son the normal life he deserves. Forever blaming themselves for the tragedy they placed on their son, the family goes through a hard time trying to make ends meet, all while trying their best not think of the inevitable. A true-blue Korean classic that people nowadays still talk about. The story revolves around Oh Dae-su (played by Choi Min-sik), an ordinary businessman whose live take a 180-degree turn after being kidnapped. Locked up in a strange hotel room, with zero clues on who his captor is or what his motives are, he is accompanied by the TV for 15 years until one day, he is unexpectedly set free. After being robbed of 15 years for no rhyme or reason, he embarks on a journey of endless puzzles to solve this mystery and to bring justice to his name. If there’s one thing I’ve learned from watching all the K-Films, is that they are always so thought-provoking and profound. And this movie is a prime example of that. This is an absolute tear-jerking that teaches us all that love has the power to transcend all physical matter, and that it can be expressed with mere actions and looks. Chul-soo (played by Song Joong-ki) is randomly found by Soon-yi (played by Park Bo-young) one day and she soon discovers that he is not human. The duo embarks on a journey together and Soon-yi starts teaching him the ways of the human world until one day, a disaster strikes and the two are forced to make a choice.